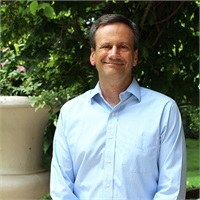 John began his career in financial services at Donohue-Hart & Associates, Ltd. in January, 2006, following a 23-year career in the retail wine industry. He represents the third generation of a family business established by his grandfather -- "The Donohue Agencies" -- in 1939. John attended Calvert Hall College High School and graduated from Loyola College in Baltimore, Maryland with a degree in finance. John holds the Series 7 (General Securities) as well as the Series 63 and 65 licenses. He is also a licensed life and health insurance producer, and is an Investment Advisor Representative with Founders Financial Securities, LLC., a Broker/Dealer and Registered Investment Advisor. Since completion of his CERTIFIED FINANCIAL PLANNER® designation in the fall of 2009, John has specialized in comprehensive financial planning and portfolio management. John’s goal within the client relationship is to understand each individual’s unique financial position before tailoring a plan that will help the client meet both immediate and long-term objectives. John resides in Hunt Valley, Maryland with his wife, Cecilia, and his daughters, Olivia and Julianna.